The Khmer Rouge was one of the most vicious governments responsible for millions being killed in Cambodia in a crime against humanity. This documentary film is about brutality. Viewer discretion is advised. Millions of people were killed during the reign of terror under the Khmer Rouge in Cambodia. Literally, an entire generation was lost. This documentary shows how one of the brutal leaders name Comrade Duch killed thousands of innocent people who were held as prisoners in Tuol Sleng prison. A few of the prisoners survived to give testimony against Comrade Duch who was brought to trial for crimes against humanity in front of the United Nations. Three individuals who survived give explicit details of what they endured under the brutality of Comrade Duch. Video footage was presented as evidence in the trial and Comrade Duch had to face the families of the victims. Duch oversaw the execution of more than 14,000 people while working for Pol Pot, the vicious leader of the Khmer Rouge during the 1970s and 1980s. It took quite some time to find and capture Comrade Duch. 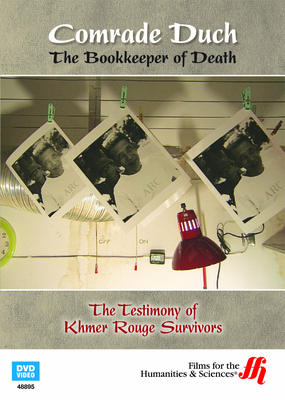 He was finally brought to trial in 2007 in the Cambodian Genocide Tribunal. It was clear to everyone he was completely guilty and fully aware of the horrid acts he committed. This film shows a transformation of Duch from an unrepentant defendant to an apologetic person. A remorseful Duch, who now claims to be Christian, apologizes but many do not believe he is sincere. The film shows the reaction of the general population in Cambodia as they watched the news of the tribunal and then saw this documentary film. This is a sad film about a very serious and hate-filled time in Cambodia when so many lost their lives and suffered unbelievable torture, trauma and death.